Nakuul Mehta, who has won over many hearts with his good looks, charm and his infectious smile, was last seen in Star Plus popular show Ishqbaaz and is now on a break from daily soaps. Making the most of it, the blue-eyed actor is currently in Rome (Italy) with his wife Jankee Parekh, enjoying a fun vacation. The couple has been sharing picture and videos from their fun holiday on the photo-sharing app, giving us all an insight into their trip and it makes us nothing but jealous. Nakuul Mehta and Jankee Parekh’s Pictures From Their Italy Vacation Are Blissful! Nakuul Mehta and his gorgeous singer wife Jankee make for a lovely couple. From being each other's best friends to travel buddy to food-loving partner, the couple never fails to give us couple goals. No matter what occasion it is, Nakuul and Jankee always surprise us by sharing beautiful photos together, making us go all 'Woah'. Last year, Nakuul and Jankee, who often keeps travelling to different places, had explored different places in Japan and shared posts that were also quite informative about certain places. This upload is my favourite. In this picture, Nakuul and Jankee can be seen posing exactly like Murad and Safeena from Gully Boy starring Ranveer Singh and Alia Bhatt. What do you think? Nakuul and Jankee are definitely having a peaceful holiday, away from the hustle and bustle of the city life. 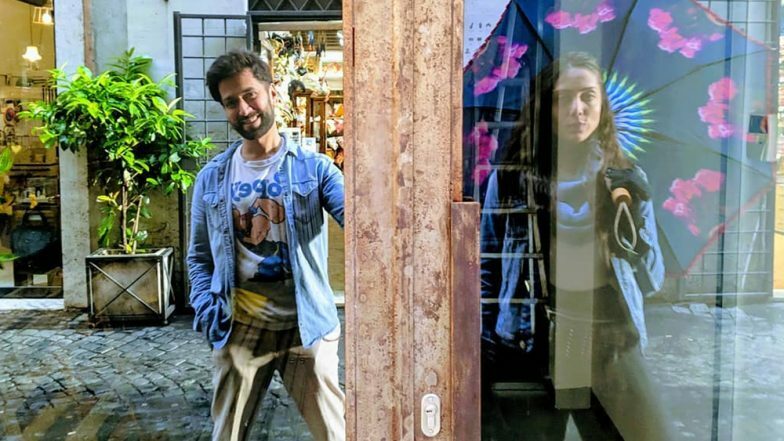 Nakuul Mehta and Jankee Parekh’s Pictures From Their Italy Vacation Are Blissful!